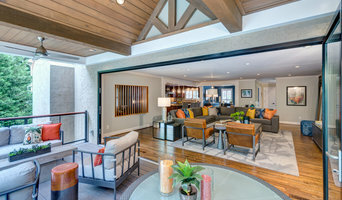 Atlanta Area Builder & Remodeler | 4X Best of Houzz Award Winner! Welcome to The UniqHouse, we have more than 20 years experience in the developing creative interior designs for kitchens, baths and houses. With more than 12 years experience in Georgia, The UniqHouse offers innovative and unique design and build services for our customers. As a design and build general contractor serving the Atlanta metro area, we offer meticulous attention to detail and high quality workmanship from start to finish. The UniqHouse prides itself on its highly-tailored design, excellent manufacturing process, perfect customer service and client aftercare. These services remove the stress from renovating and ensure that every kitchen & bath is designed and built to meet the specific needs of the most demanding customers. The UniqHouse’s current portfolio includes three core collections: Diamond, Kemper and Omega, plus a full bath collection. We work with the homeowner to design a layout that matches their lifestyle and incorporate design aspects. Atlanta's Bathroom Specialist | Best of Houzz 2014-2019! Randy Glazer owner and President of Glazer Design and Construction began his career in 1989. With a degree in design & building, a strong work ethic, and passion for construction, he learned quickly from experienced carpenters and design professionals. We specialize in complete home renovations, office and store build outs, new construction, second story additions, kitchen and bathroom remodeling, media rooms, and basement finishing. We offer premium-quality work at affordable prices, without sacrificing the integrity of the design or the materials that go into it. *Authorized Dura Supreme Cabinetry Dealer* In 1998 we started a remodeling company called C.T. Swarts & Company, LLC. In 2006 we decided to open a brick & mortar cabinet store; for the past decade, we have been sharing our knowledge & experience with our customers as Highland Design Gallery, LLC. Our focus is customer service. As experienced designers & contractors we achieve the creative result that uniquely reflects your taste & lifestyle. We listen carefully to what our customers want & we work hard to deliver it. We offer a full array of products & services to make your dreams a reality. Whether you just want to purchase cabinets, require full contracting & design services, or need something in between, we can help you. Make an appointment with us & let's start building your dream today! WE PLAN . WE DESIGN . WE BUILD . YOU ENJOY. What started as a kitchen cabinet company soon turned in to a full service construction company. With over 15 years of experience in general contracting and design, our experienced team of professionals are capable of managing multiple projects at once while not losing sight of superb customer service, quality and detailed craftsmanship. Kitchen Design Studio, LLC. is not your typical construction company. We are unique because we love creating beautiful and unique living spaces, managing all of our projects from an idea to perfection. We pledge to deliver top quality, cost efficient and creative contracting solutions. Our comprehensive, high-touch approach, attention to detail, and commitment to exceeding expectations enable us to deliver the results our customers are seeking. Call us today to discuss your next project or feel free to visit us at our showroom. 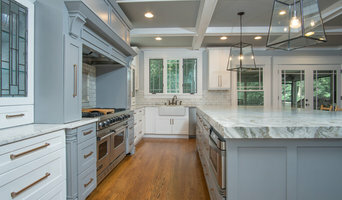 There are many types of kitchen professionals in Atlanta, GA – from cabinet makers, to carpenters and interior designers – and many trade professionals offer a full suite of expertise. Depending on the size of your kitchen renovation, and the kitchen designer, they may also hire contractors on your behalf and manage the project from beginning to end. Here are some related professionals and vendors to complement the work of kitchen & bathroom designers: Kitchen & Bathroom Fixtures, Appliances, Tile, Stone & Benchtops, Joinery and Cabinet Makers, Carpenters. Find an Atlanta, GA kitchen designer on Houzz. Browse the Professional section on Houzz to find kitchen designers in Atlanta, GA. Then, scroll through photos of their latest kitchen renovations and see how their work compares to the scope of your project. You can read reviews to see how other homeowners rate their work, and message them directly to to ask any specific questions.